Rabcat online slots develop different kinds of casino games – especially when it comes to graphical quality and extra features. Forsaken Kingdom casino slot game is an excellent example of this, it is a slot game of course but a very innovative one. The game is based on the legend of King Arthur and his knights. As for the looks, we can easily say this may be the best-looking slot game we have ever seen. The models, textures and animations are near-perfect; Forsaken Kingdom can be mistaken for a next-generation console game easily. The game has 5 reels, 20 pay lines and some innovative features, as we mentioned above. There are four high-value symbols in the game and they are shown with pictures of a sword, King Arthur, Camelot and the Black Knight. Play card signs (numbers & letters) are used as for the low-value symbols. The portrait of Lady Guinevere counts as the wild symbol. Wild substitutes all other symbols in the game and if it appears on reel 3, expands to fill all the slots on the reel too. Scatter symbol is shown with a shield picture. Now, you can see a ring (round table) next to the “spin” button on the interface, which is covered by 12 sections. Each time you land two scatter symbols on reels, one section gets filled. When you manage to fill all of them, a special bonus round called “Round Table of Fortune” triggers. This is really a wheel of fortune and you can win extra credits or multipliers just by spinning it. To get free spins, you need to receive three scatter symbols anywhere on reels. When this happens, you are awarded between five and twelve spins, randomly. Playing Forsaken Kingdom online slot game by Rabcat doesn’t cost too much: you can bet between 0.01 and 1.00 coins per pay line. The interface is unique, clear and easily understandable. 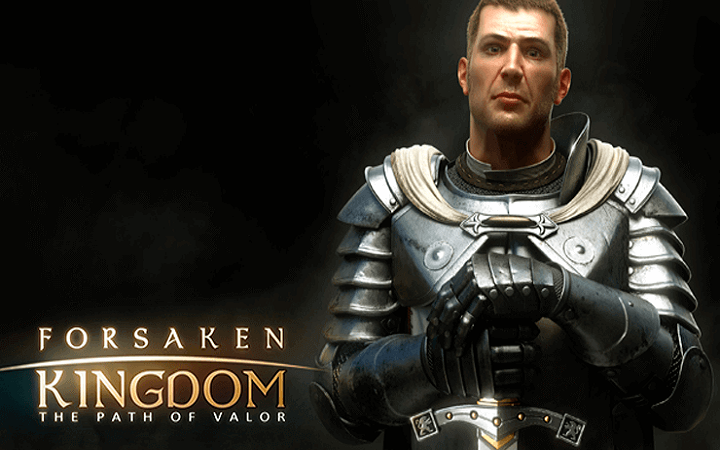 If you like to play casino slots online, don’t miss this one – Forsaken Kingdom is very different from every other title you have seen so far. Play at Casino Avenue to try the free slots no download version of the game, you won’t be disappointed.